Hello Fall! Its time to say goodbye to summer and welcome the new season. It is a perfect time to do something new, something bold and beautiful. Traveler's Journal allows you to do all of this in one place to express your self in new ways, in bold ways and beautiful ways. Bellow you can see a closer look at our Dark Vintage Washi Tape as well as our Decadent Pies color confection pallet and coloring pencils which are perfect colors for fall. 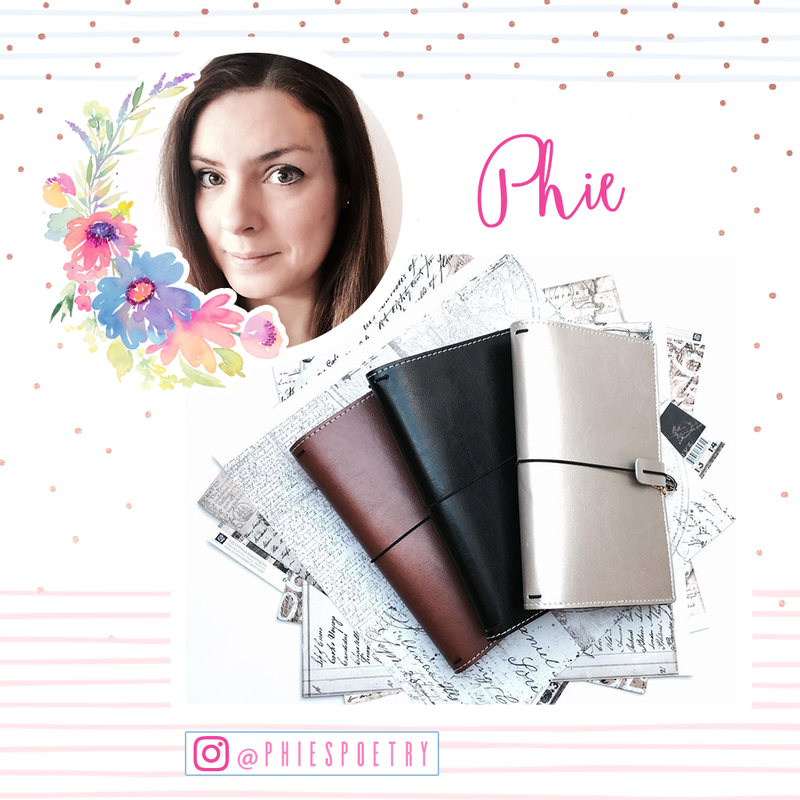 The way Phie uses her Prima Traveler's Journal in such an inspirational way. She uses many different techniques from: water coloring, calligraphy and washi-tape use. She uses all these teqniques to express her self and journal her journey and day memories. To see more inspirational projects and layouts by Sophie (Phie) follow her @phiespoetry.